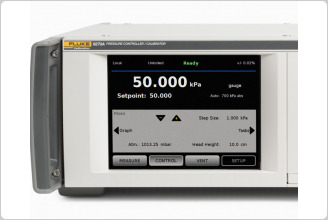 Unsurpassed rangeability in one pressure controller / calibrator: install up to five measurement modules with uncertainty as good as 0.01% reading from 30% to 100% of the modules' span. The 6270A pressure calibrator is ideal for pressure sensor manufacturers who want to avoid downtime on the production line and need a pressure source that performs both quickly and accurately. Its modular design makes it easy to maintain; its high-speed control and accuracy over a wide range give these manufacturers the throughput they require. The 6270A is easy to learn and use, thanks to a graphical user interface and an intuitive hardware design. To access the measurement and control modules, simply open the front panel. Modules are easy to replace, even when the 6270A is rack-mounted. The 6270A features pressure ranges from low differential pressure to 20 MPa (3000 psi), which covers the requirements of most gauges and sensors. Three levels of accuracy, 0.02 % FS, 0.01 % reading from 50% to 100 % or 0.01 % reading from 30 % to 100 %, let you balance your need for accuracy with the limits of your budget. Thanks to its modular design, the 6270A is flexible enough that you can install modules with different accuracy classes within the same chassis. You can buy the highest level of accuracy for the pressure ranges that require it and a lower, more economical level of accuracy where applicable. The 6270A’s accuracy specifications are provided in full and supported by a Technical Note that details its measurement uncertainty, so you know exactly what you are getting. As with all Fluke Calibration instruments, these specifications are conservative, complete, and dependable. Three families of pressure measurement modules provide three levels of performance that let you set up a system that matches your needs for accuracy and value. The standard pressure control module can handle a wide range of pressures. 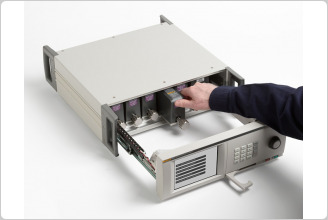 A flexible range control module is also available if you need to handle an even wider range. The 6270A features pulse-width-modulated control, a proven technology that enables it to deliver wide rangeability, the ratio of the maximum to the minimum specified measured value at which the instrument performs correctly. A wide rangeability is what enables you to calibrate a wide workload. Each measurement and control module, as well as the main chassis, has pressure relief valves to protect the instrument and its operators from accidental overpressure. The 6270A has been designed using Sound Engineering Practices (SEP). With the internal relief valves, user-setable pressure limits, and emergency abort button, safety is the highest priority. If your workload includes devices that contain different substances like water, oil, and gas, you could be at risk for contamination—something getting into your system that isn’t supposed to be there. Contamination can clog a calibrator’s valves, wear out its parts, and make it difficult to maintain pressure. If the contamination gets into the sensor, it can actually change the calibrator’s behavior and throw off your readings. If contamination is a concern for you, order the optional 6270A Contamination Prevention System to help keep the calibrator’s valves clean and free from debris. Install up to five pressure modules in a single 6270A chassis, mixing and matching module types and ranges to get the combination that best suits your needs. Buy just what you need to calibrate the pressure ranges in your current workload. Add modules later as your workload grows and changes. Modules snap in and out quickly and easily. Just slide each one into a specially designed track and tighten the knob until you hear it click into place. The click tells you that the module is safely in place; a special “anti-torque” guard on the knob prevents over-tightening. You never have to wonder if you tightened it too much or not enough. Modules are installed and uninstalled through the front of the chassis. 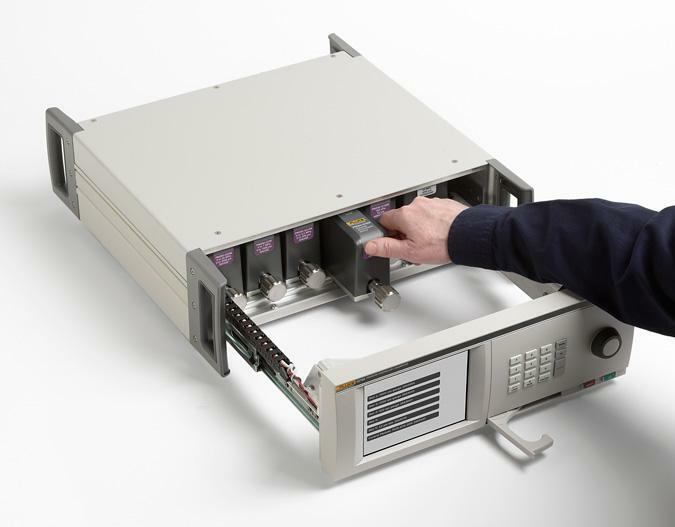 You can easily install and remove both the measurement modules and the control module from the chassis, even if the 6270A is installed in a rack mount. Each module uses an enhanced face-seal design that has been leak tested to pressures that are three times higher than the maximum working pressure. You don’t have to worry about a leak in the system affecting your ability to measure and control pressure. 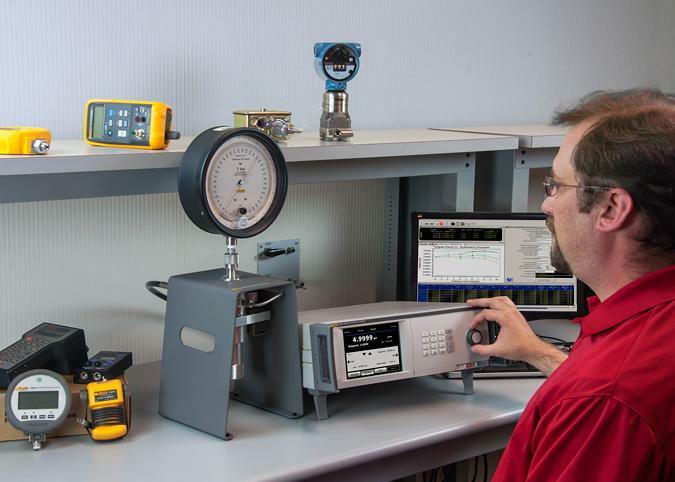 The 6270A pressure calibrator controller is a flexible workhorse on its own, but you can also use it as the first step in creating an automated piston gauge system. Use the 6270A with a Fluke Calibration PG7601 or PG7202 Piston Gauge to automate the flotation of the piston. Add a PG7000-AMH Automated Mass Handler for PG7000 Piston Gauges to complete the automated system. We designed the 6270A to be easy to maintain, making your cost of ownership very reasonable. We publish a Service and Calibration Manual with detailed instructions on how to replace valves and components. An onboard screen capture routine provides troubleshooting help. Control and measurement modules are separate, allowing for quick and easy repair. Just pull out the module and replace it; no auto-tuning required. You can change the pressure ranges just as easily by installing a new module and possibly changing the supply pressure. No need to send the 6270A back to the factory. The modules can be calibrated either in the chassis or outside the chassis using the optional PMM Calibration Kit. 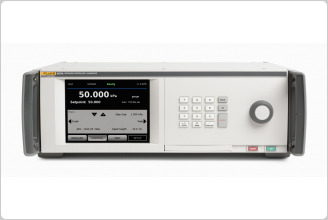 Once calibrated, you can use them in any 6270A chassis without affecting the uncertainty of your measurements. Modules can be removed and replaced, easily; no specialized tools required. Every component in the system is designed for simple, modular replacement, from the front panel to the rear pressure connections. Internal components, like the main CPU, are designed to be easily replaced. The pressure connectors on the back of the 6270A are made from anodized aluminum, a robust material that stands up well to normal usage. However, if threads are stripped or there is galling from metal connectors sliding against it, you can easily remove the block without having to open the chassis. Simply remove the screws holding it in place and pull it out. The block does not have any items attached to it, so replacement simple and low cost. The removable rear manifold makes it easy to remove the 6270A from a rack-mounted system. Simply vent the test and supply ports and disconnect the connection manifold from the back of the chassis. You won’t need to question which pressure line is the supply port and which one is the test port; they stay connected to the manifold, and the manifold can only be connected one way. Three types of manifolds—NPT, BSP, and 7/16- 20—are available to meet the needs of different geographic regions. The isolation valves on the main manifolds are easily removed from the top of the 6270A chassis. Fluke Calibration COMPASS for Pressure software is designed specifically for pressure calibration. It enables you to automate the 6270A and run complete pressure calibration sequences on single or multiple devices under test (DUTs). COMPASS software removes the unknowns often associated with getting automated systems online. The 6270A features a full remote interface that enables you to use it with custom software or other data acquisition equipment. Refer to the 6270A User Manual for details about the interface. 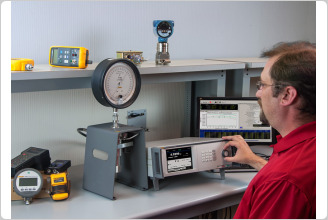 Fluke Calibration’s testing, repair and calibration services are dedicated to filling your needs quickly and at a fair cost while maintaining the unmatched level of quality that is our trademark. Our pressure calibration laboratories are accredited to ISO Guide 17025. We maintain global calibration and repair facilities to help you keep your hardware in top working order. Reduce your pressure calibrator downtime and control your cost of ownership with a CarePlan. 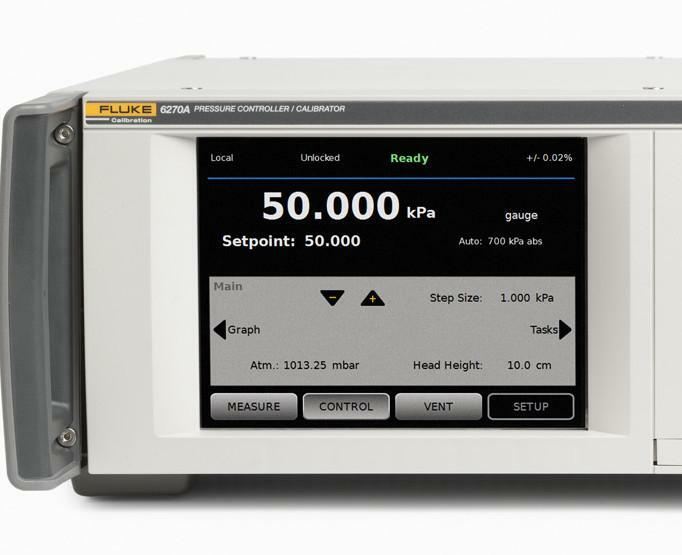 Fluke Calibration offers one-year, three-year and five-year Priority Gold CarePlans, which feature an annual standard or accredited calibration of your 6270A calibrator with guaranteed three-day in-house turnaround1, plus free repairs with guaranteed ten-day in-house repair (includes calibration). We sponsor a range of pressure and flow calibration courses in our Phoenix, Arizona facility in the United States. We also host periodic web seminars at no charge on a wide variety of pressure calibration topics. If you need service or maintenance training to help you maintain your fleet of pressure controller calibrators, we can help you there, too. The large main display enables you to easily view and edit important information. A simple, calculator-style keyboard makes it easy to enter values quickly. Make minor adjustments to the pressure using the jog wheel, ideal for calibraiton of analog dial gauges. Real time graphing makes it easy to see pressure stability or procedure status. The touch screen display in choice of ten languages features an easy-to-read, intuitive menu structure that lets you access any feature within four button presses or less. Front panel abort button allows for fast venting in emergency situations. Switch testing--6270A has built-in ability to read the state of a pressure switch allowing for closed loop testing of pressure switches. System mode allows multiple units to be connected together, providing the ultimate in rangeability. External valve drivers enable users to create fully automated custom systems and operate accessories like the optional Contamination Prevention System (CPS). All pressure connections are located on a single, easily replaceable manifold block. Connectors in NPT, BSP, or 7/16-20 SAE enable you to choose the most popular fitting type for your region. An optional rack-mount kit enables the 6270A to be installed in a standard 19-inch rack. Real-time graph makes it easy to see pressure stability or procedure status. Built-in leak testing simplifies the process for validating system integrity. Appropriate protections for High Pressure Gauge work system exhaust gas will pass through the Vacuum supply system. 1 Control turndown is defined as the relationship between the provided supply pressure and the appropriate supply pressure for the range. For example, a unit with a 7 MPa (1000 psi) and 700 kPa range (100 psi) with a supply pressure of 7.7 MPa (1100 psi) will provide control precision of 0.001% range because 7 MPa is 10 times greater than 700 kPa. A system with ranges of 20 MPa (3000 psi) and 700 kPa (100 psi) with supply pressure of 22 MPa (3300 psi) will have 0.001% range control precision on the 20 MPa range but only 0.003% control precision on the 700 kPa range. Control precision of 0.001% on the low range can be achieved by reducing the supply pressure.